I have collected hundreds of used MetroCards from the NYC subway. 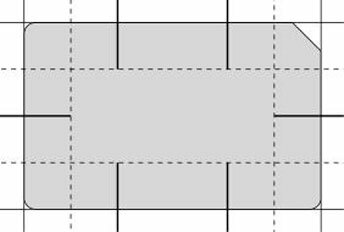 With 735 of the cards, I created three vertical sculptural columns. 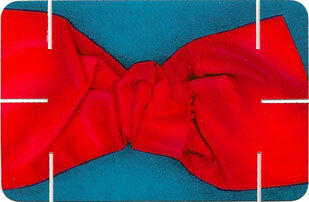 The cards take on a new life - from utilitarian access to aesthetic repetition. But, I still have hundreds more and there are always some hanging around the kiosk booths down in the stations. I was a bit frustrated with the waste of the used cards. Apparently, MTA employees just toss the used cards in the trash or down onto the tracks. I called to verify this and was told that they do not reuse nor recycle them. What a shame. Years ago, I was fascinated with the work by Ray and Charles Eames. 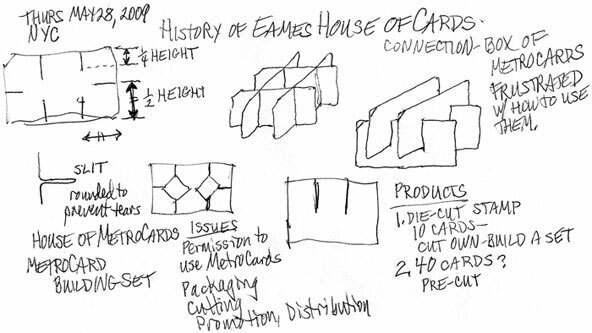 One of their products was the House of Cards. A House of Cards card shown on the left. 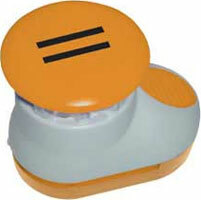 A device that punches slits into used MetroCards would create building cards. 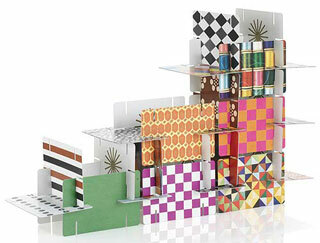 One can then use the MetroCards to create structures as the Eames proposed for their card kit, examples below. 3. A few sample MetroCards: 1 cut, others uncut. 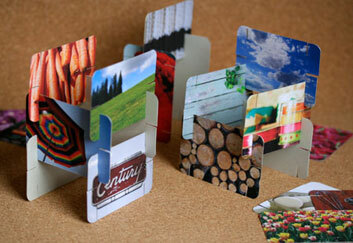 • Allows used MetroCards to be recycled into a new purpose. 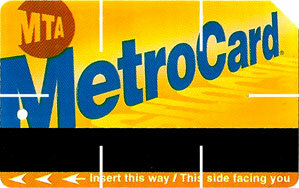 • Is cheaper than the House of Cards - the MetroCards can be picked up in almost any subway station. • Simple to package and market. 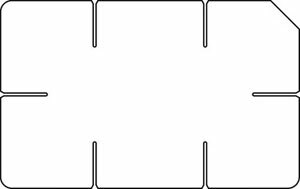 Pattern of slits to cut into a MetroCard. A slit cutter used by scrapbookers.